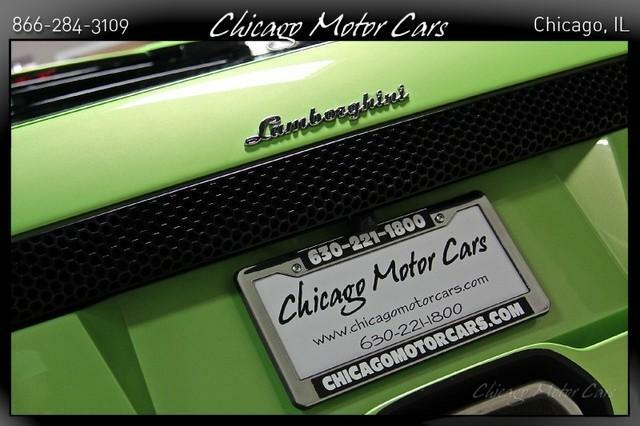 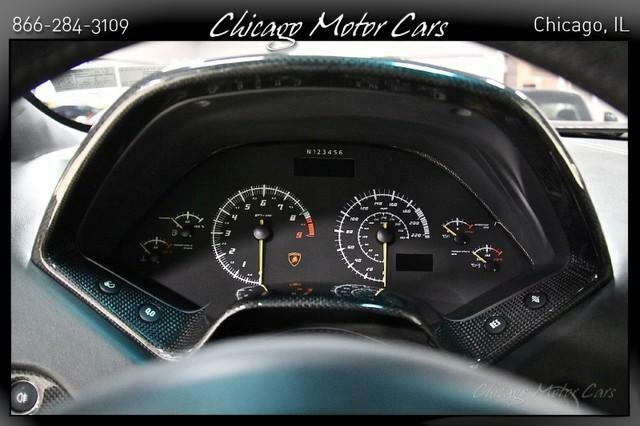 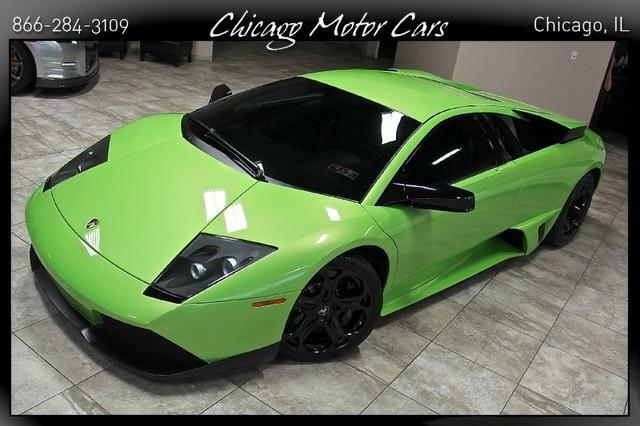 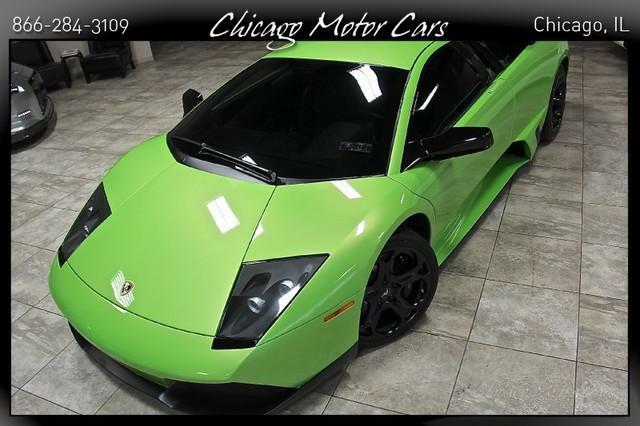 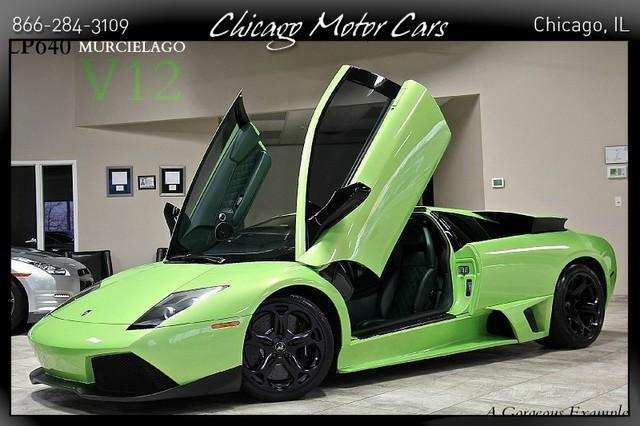 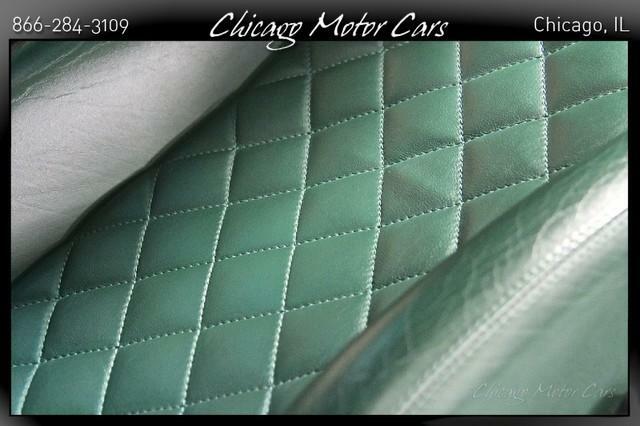 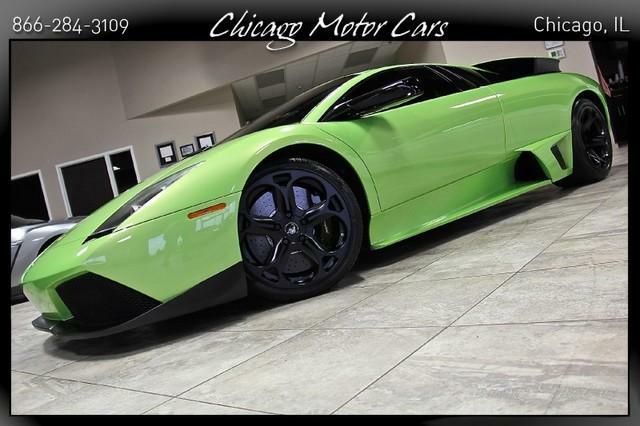 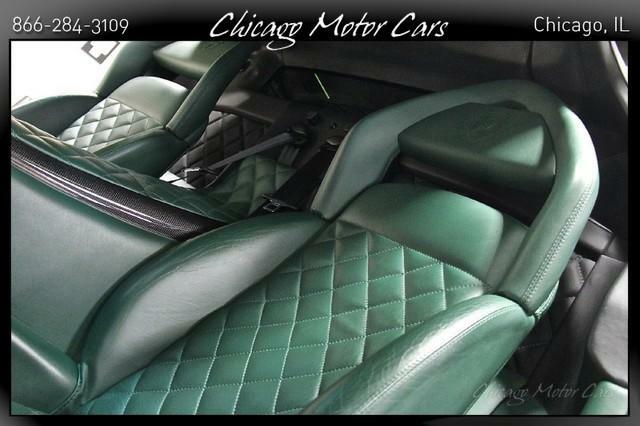 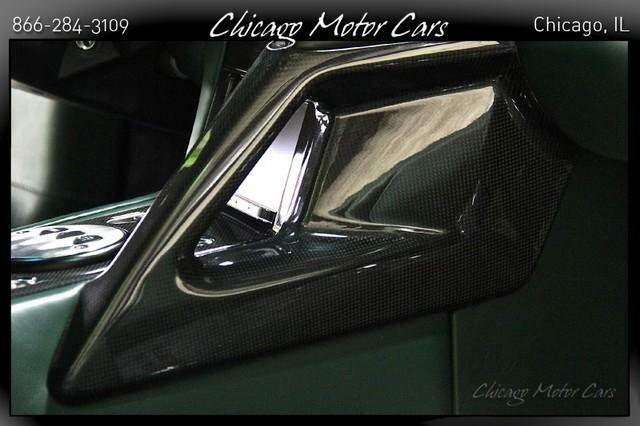 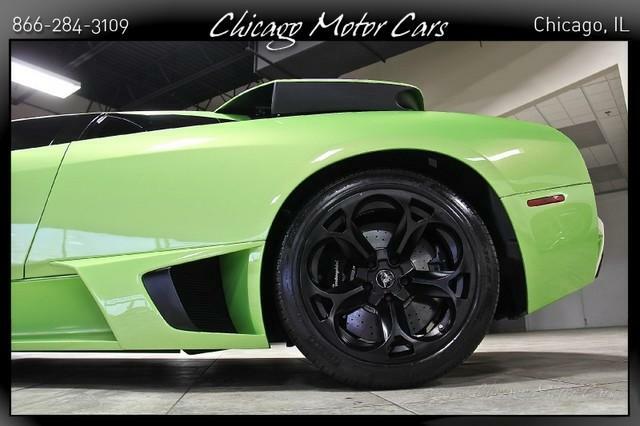 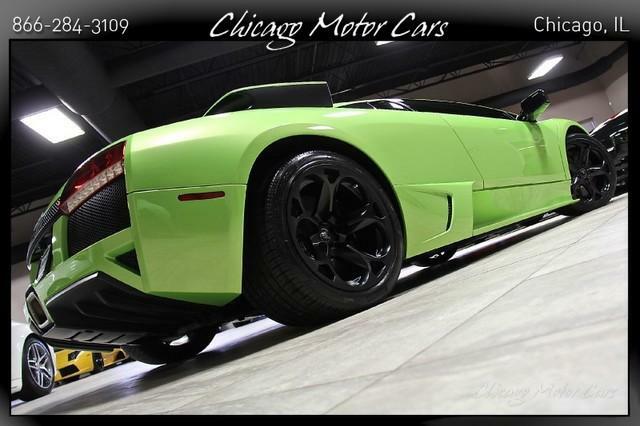 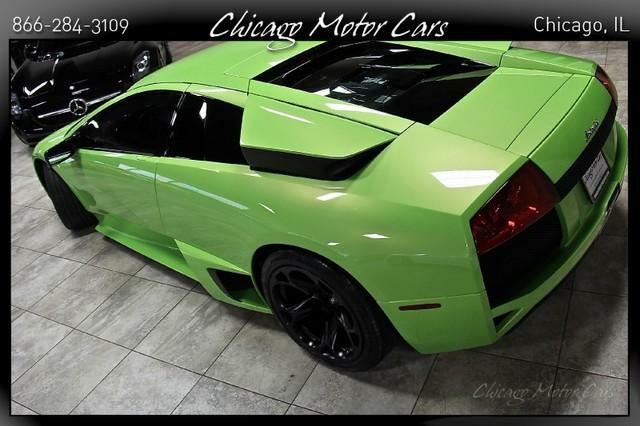 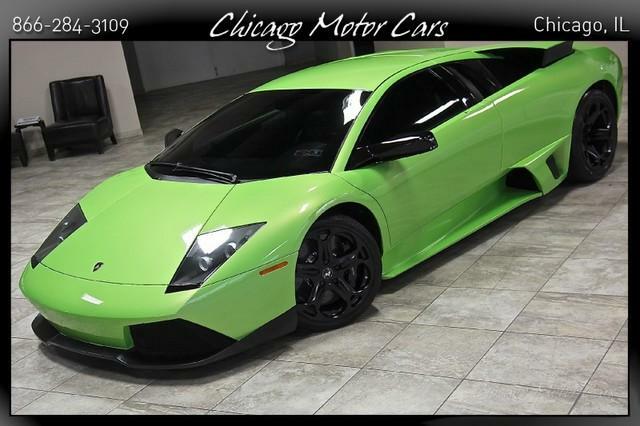 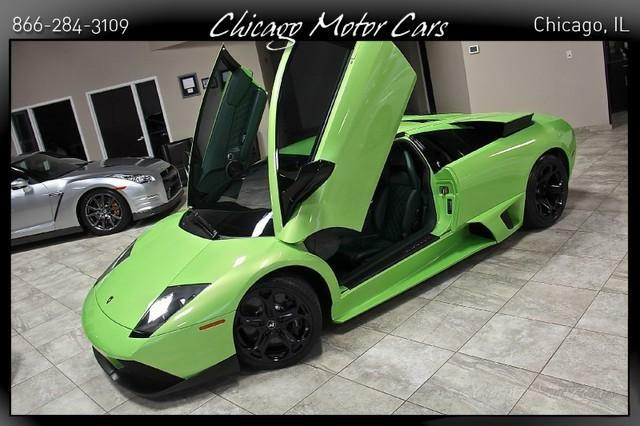 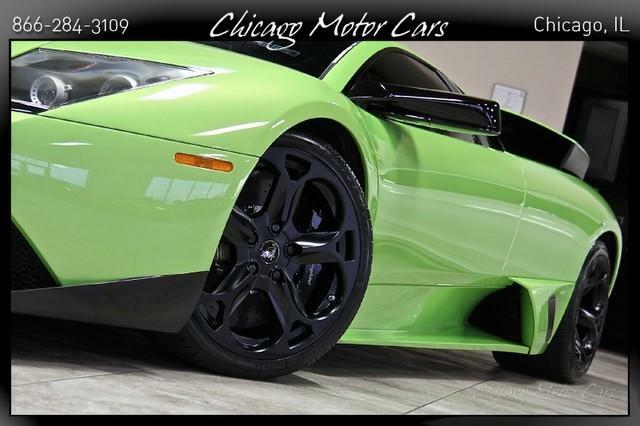 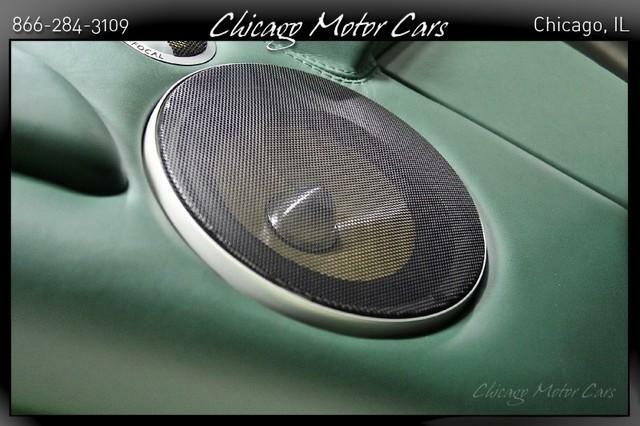 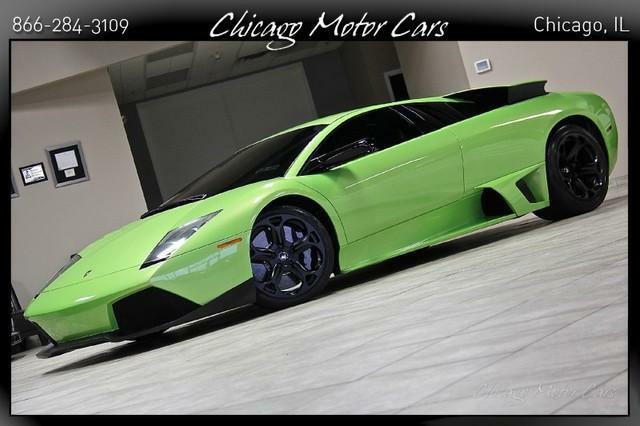 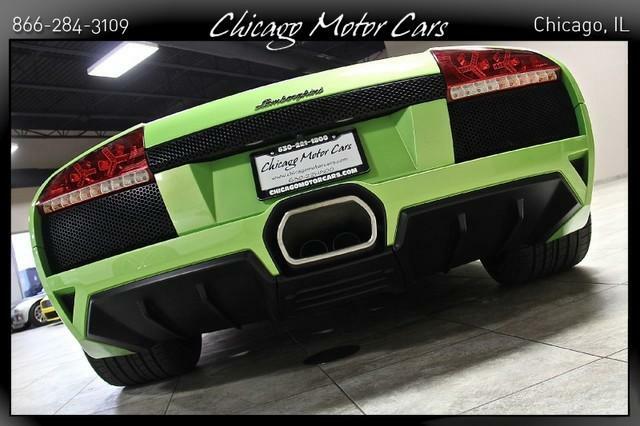 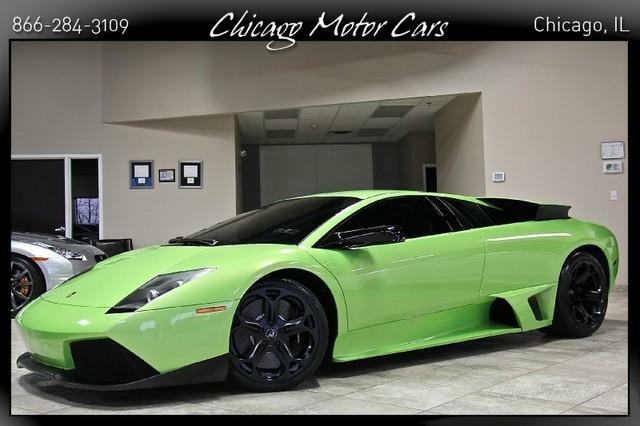 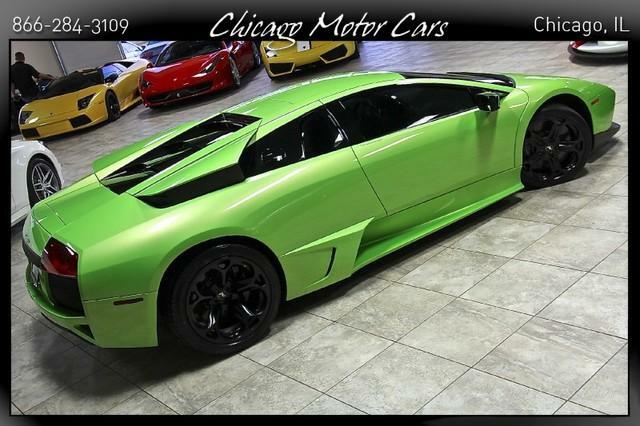 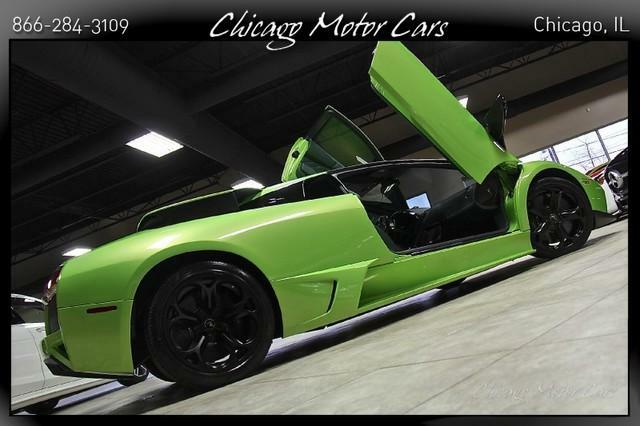 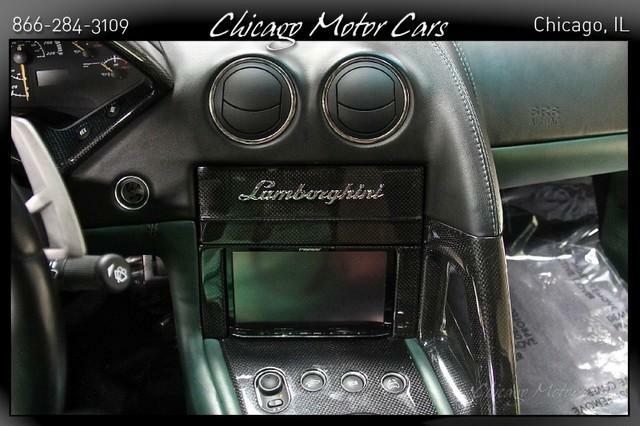 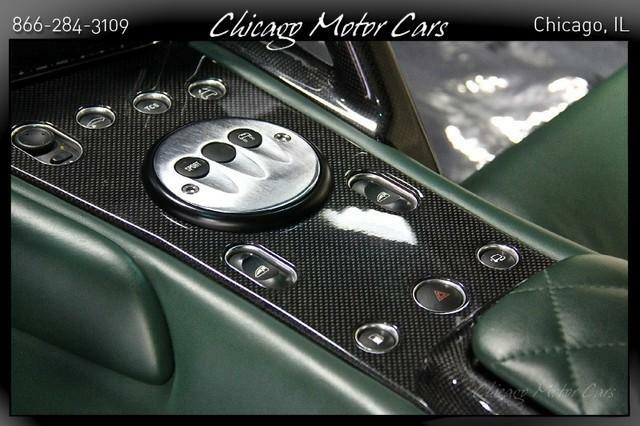 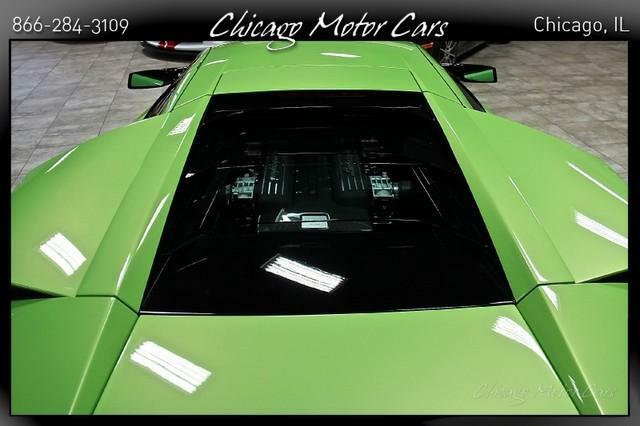 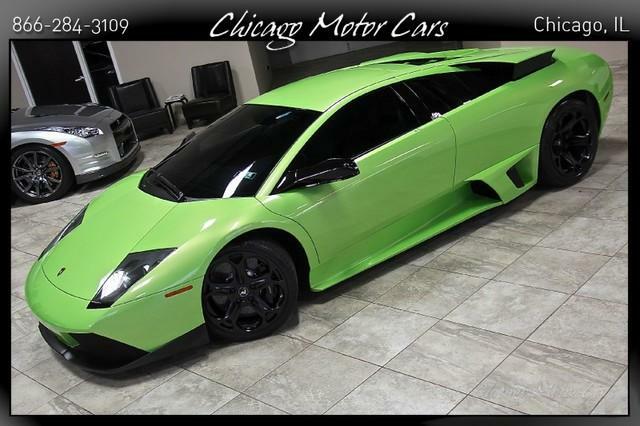 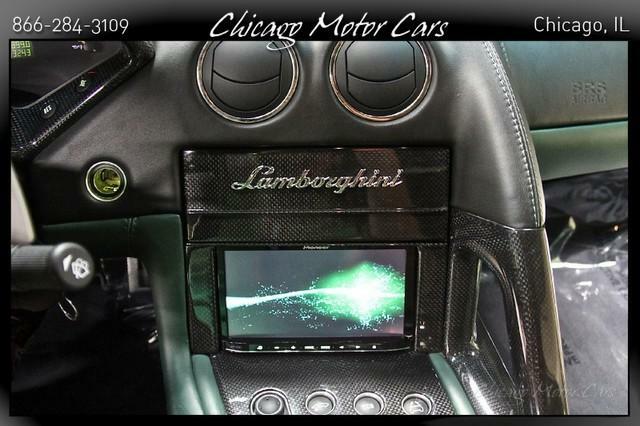 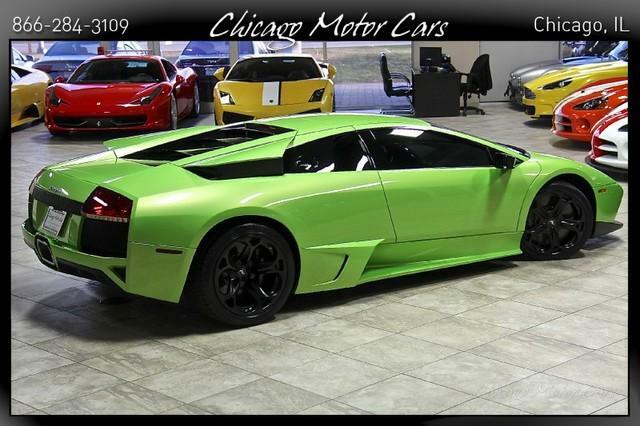 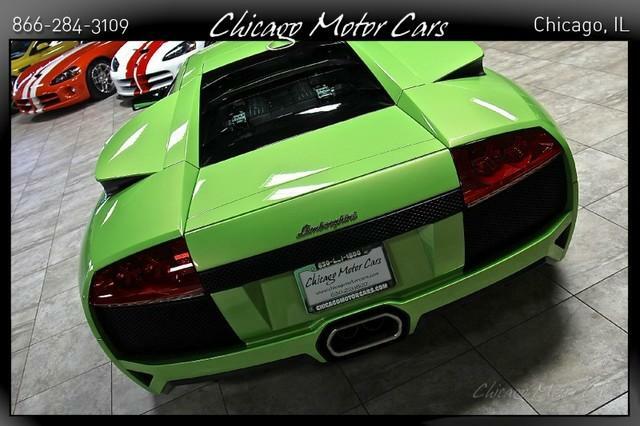 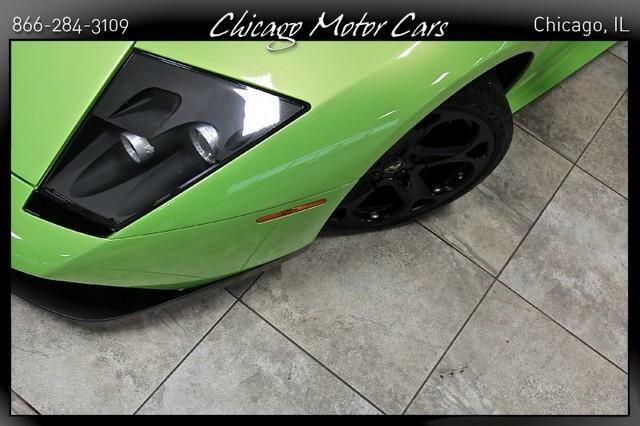 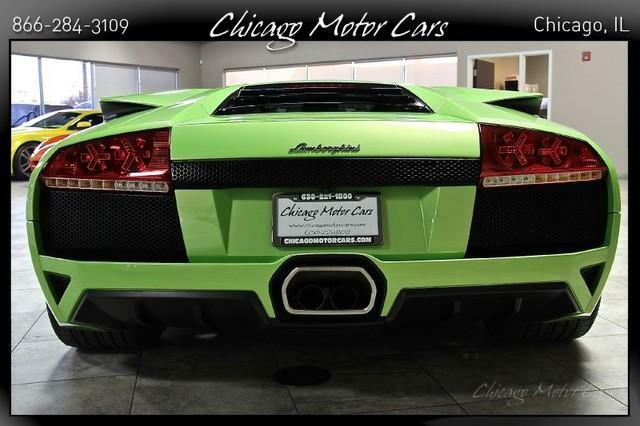 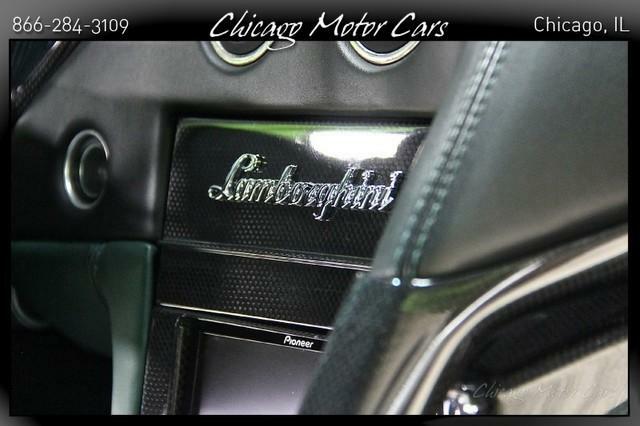 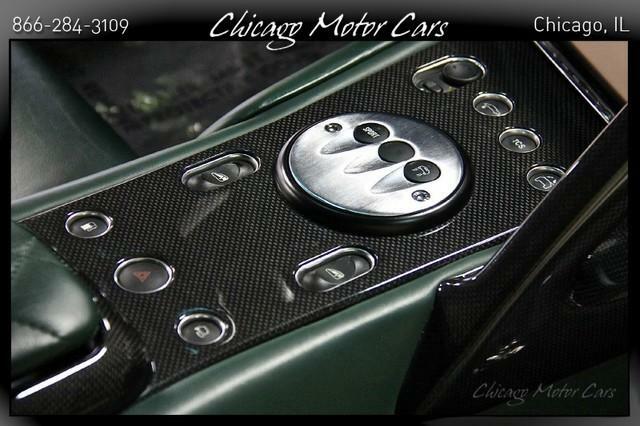 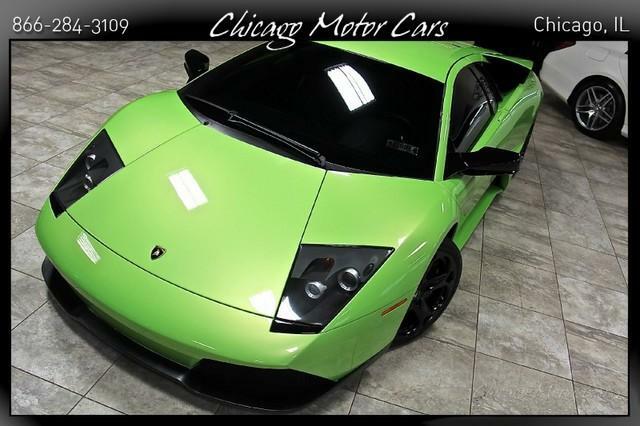 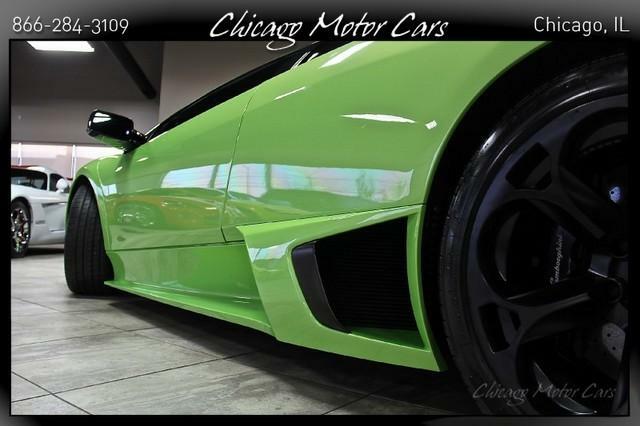 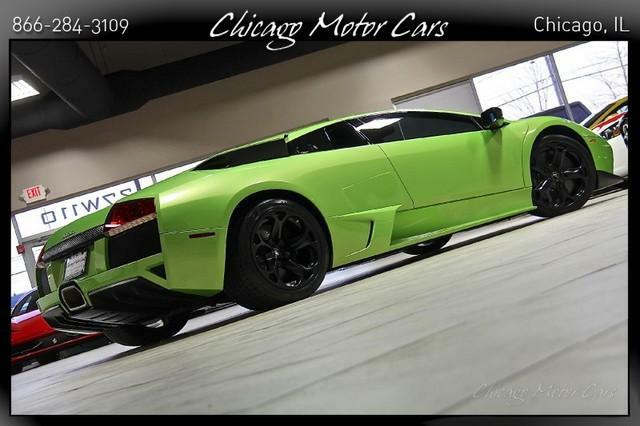 2007 Lamborghini Murcielago LP640 E-Gear Hardtop Verde Ithaca Metallic Exterior over Dark Green Leather & Carbon Fiber Accented Interior *100% GORGEOUS! 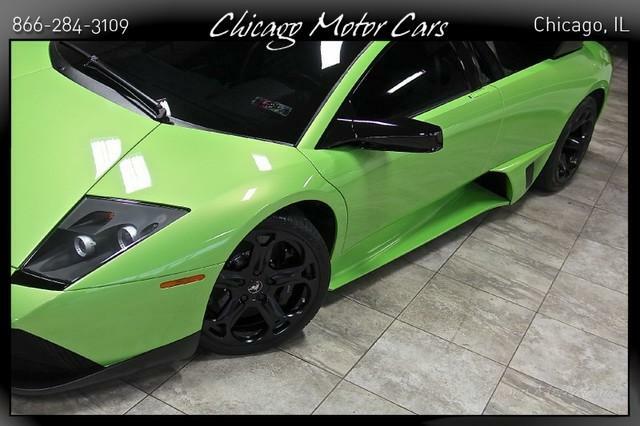 *ONLY 16K MILES! 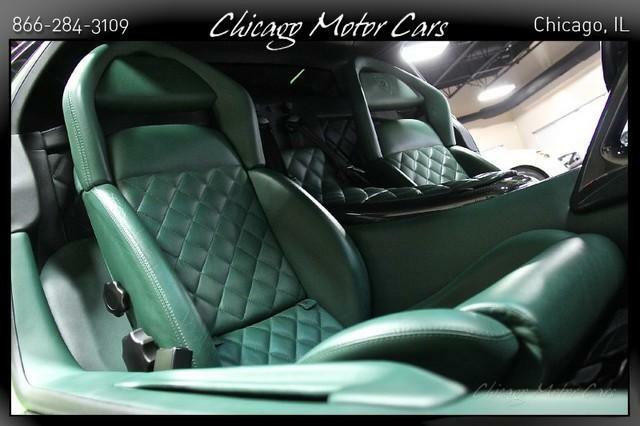 EXCEPTIONALLY CLEAN! 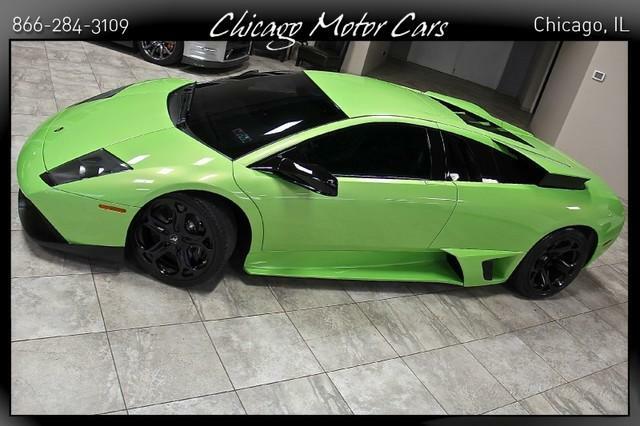 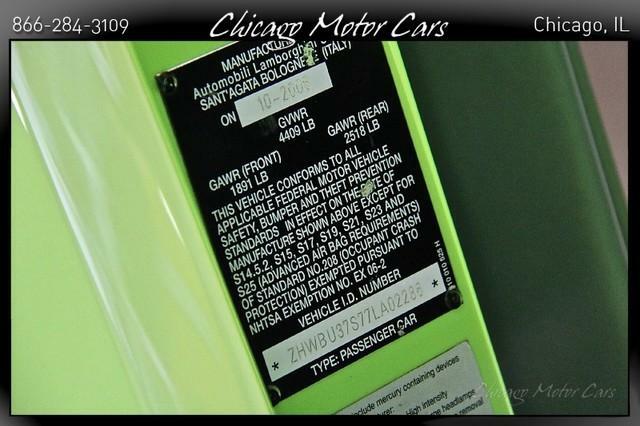 FACTORY OPTIONS INCLUDE: E Gear Transmission (Originally $10,000) Carbon Ceramic Braking System (Originally $13,000) Black Brake Calipers (Originally $805) Ci Badge on Wheels (Originally $270) Special Paint Color Verde Ithaca (Originally $2,500) Q-Citura Stitching (Originally $2,100) Transparent Glass Bonnet Engine Cover (Originally $7,200) Full Carbon Fiber Interior Trim (Originally $6,500) Lamborghini Embossed Logo Headrest (Originally $650) Leather Roof Lining (Originally $1,040) Hercules Wheels (Originally $4,900) ADDITIONAL HIGHLIGHTS: Pioneer Headunit - CD, MP3, DVD, AUX Input, USB, BlueTooth, Back up Camera, TouchScreen Navigation & Stereo System Focal Audio Door Speakers JL Audio Subwoofers Upgraded Custom Amplifier Mounted In Trunk Tinted Windows All Customizations Total Cost Over $15,000 !! 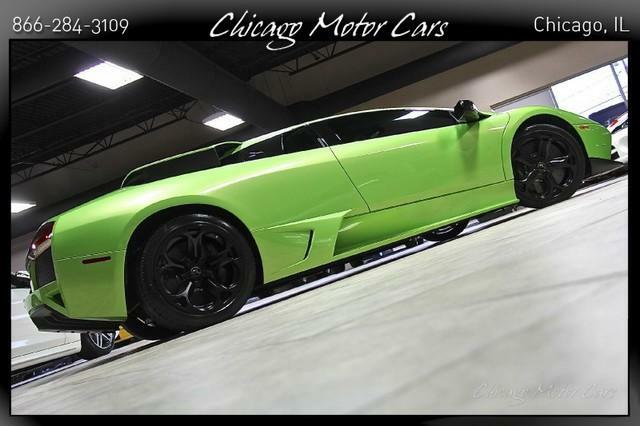 VEHICLE HIGHLIGHTS: 6.5 Liter 12 Cylinder Engine -632 Horsepower- -487 lb/ft of Torque- 6-Speed E Gear Transmission All Wheel Drive Xenon Headlights Black Brake Calipers Black Painted Wheels Automatic Climate Control Front End Lift System Power Folding Exterior Mirrors Contrast Stitching VEHICLE HIGHLIGHTS: *Save HUGE From New! 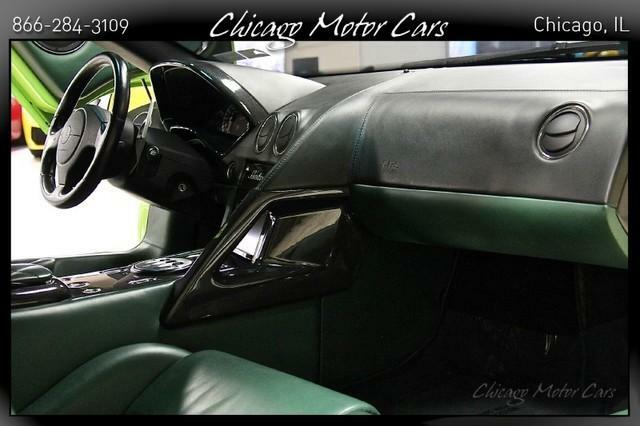 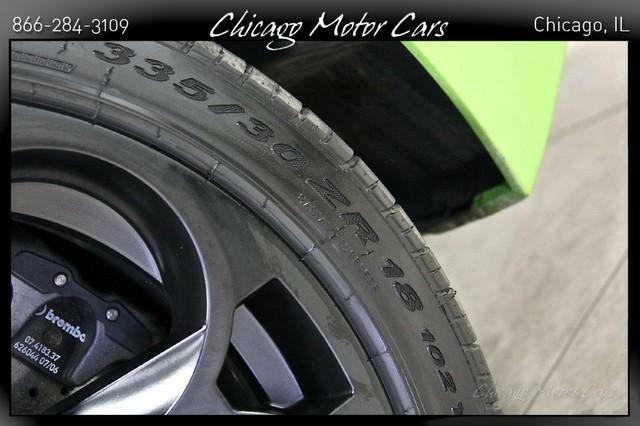 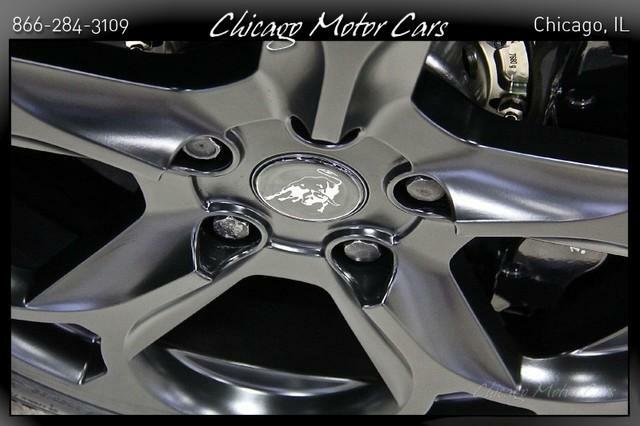 *Excellent Condition Throughout! 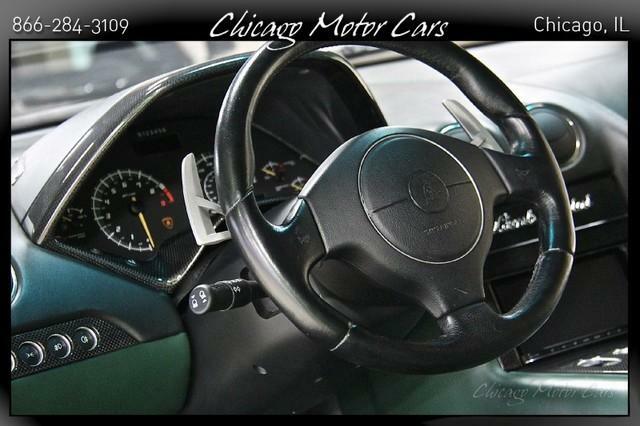 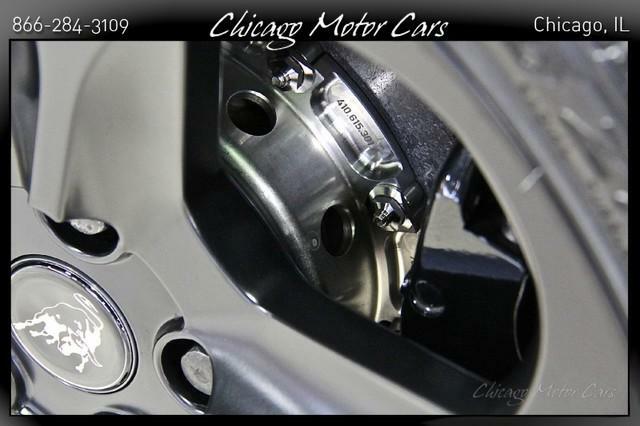 INCLUDES: *One Remote Master Key* *Original Owners Manuals* ANNUAL SERVICE JUST PERFORMED!